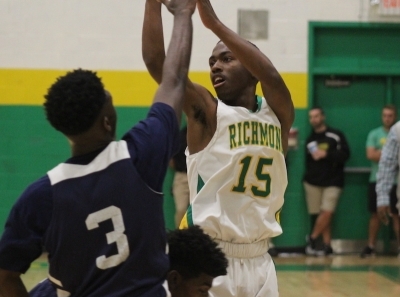 ROCKINGHAM – Despite a career night by junior guard Malik Stanback, the Richmond Senior High School Raiders varsity basketball team dropped its second consecutive game Friday night. 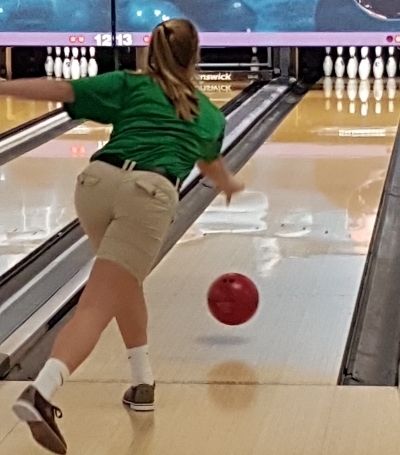 ABERDEEN, N.C. – The Richmond Senior High School Raiders and Lady Raiders bowling teams competed Thursday against Pinecrest and Seventy-First high schools at Sandhills Bowling Center in Aberdeen. 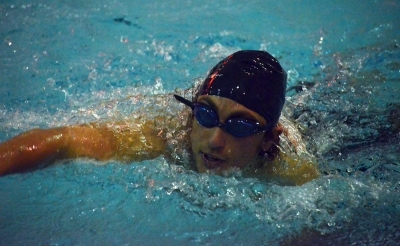 LAURINBURG – Last Wednesday, November 29, Richmond Senior High School ventured into unchartered waters when its Raiders participated in the school’s first swim meet in program history at St. Andrews University. Like many firsts, the Sandhills Athletic Conference’s inaugural meet was not without its growing pains. 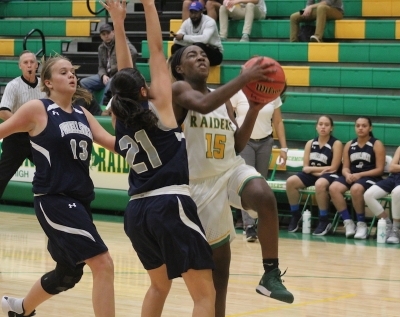 CLAYTON, N.C. – It was a tale of two halves Wednesday night as the Richmond Senior High School Raiders basketball team made the trip to Clayton High School in Johnston County for its second non-conference contest of the season. 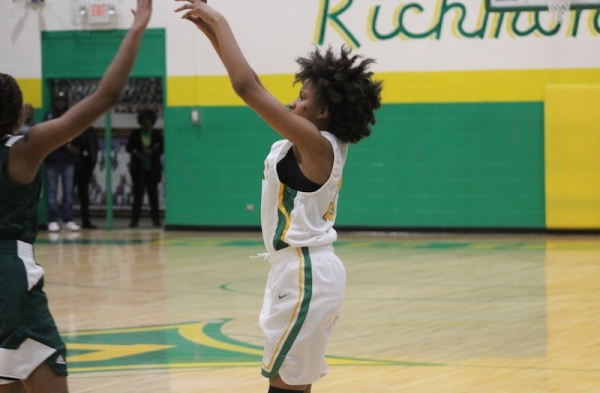 ROCKINGHAM - The Richmond Senior High School Lady Raiders basketball team stepped into Sandhills Athletic Conference play Tuesday night for the first time and used defense and timely shooting to get a 59-39 over Purnell Swett High School. ROCKINGHAM – It took until the second game of the season, but the Richmond Senior High School Raiders basketball team earned its first win of the 2017-18 campaign Tuesday night in its home opener. 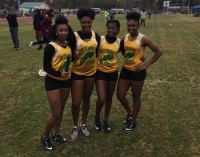 FAYETTEVILLE - On a rainy Saturday this past weekend, the Richmond Senior High School Lady Raiders track team was able to place fourth in back-to-back meets to begin their season. ROCKINGHAM – The Richmond Senior High School wrestling team hosted its second meet of the season Saturday, as the “Raider Rumble 2” event welcomed in several teams to compete. 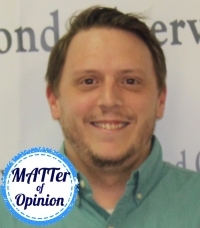 ROCKINGHAM – A lot of times, high school referees are not given the benefit of the doubt. According to fans, their calls are generally wrong, they miss too many blatant fouls and they could always do better. But for one local referee, everything seems to be going right. 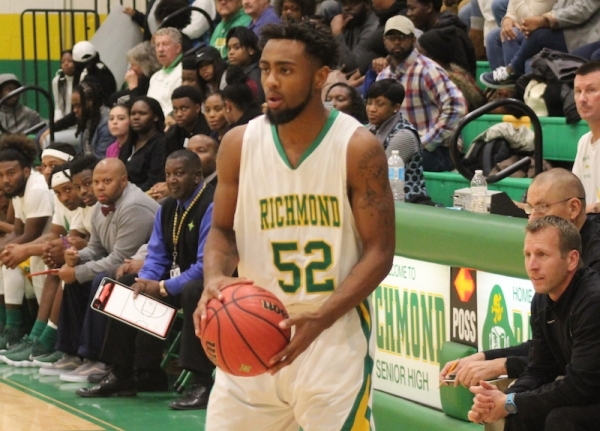 FAIRMONT, N.C. – Two things that Richmond Senior High School boys basketball coach Donald Pettigrew said that had to happen in order to start the season off with a win were the limiting of turnovers and his team’s total effort for all 32 minutes. 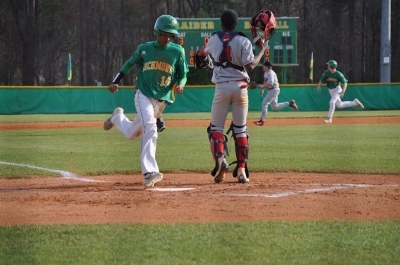 FAYETTEVILLE – The Richmond Senior High School Raiders and Lady Raiders bowling teams were in action Tuesday against last year’s state champion Jack Britt High School, as well as Lumberton High School.